This month, the magazine Words Without Borders is publishing its eighth annual collection of international graphic literature. Among the offerings is a true story of a harrowing girlhood in Korea and a depiction of a "A Love-Hate Relationship" with a Brazilian city. Based on the account of a woman who was taken from her family as a girl, Keum Suk Gendry-Kim's Grass immediately engages the emotions through its powerful use of a first-person perspective (translated from the Korean by Janet Hong), as well as its evocative illustrations, at various times humorous, horrifying, and stunningly beautiful. The chapter excerpted in this month's issue of WWB tells the story of a girl's sudden "adoption" into a new family. An elder daughter in a Korean farming family, hard-hit by Japanese occupation, Oksun dreams of going to school; the man who comes to take her from her family promises she will have that opportunity. "But I can still come home if I want, right?" Oksun asks. Her mother says yes; her father is silent. 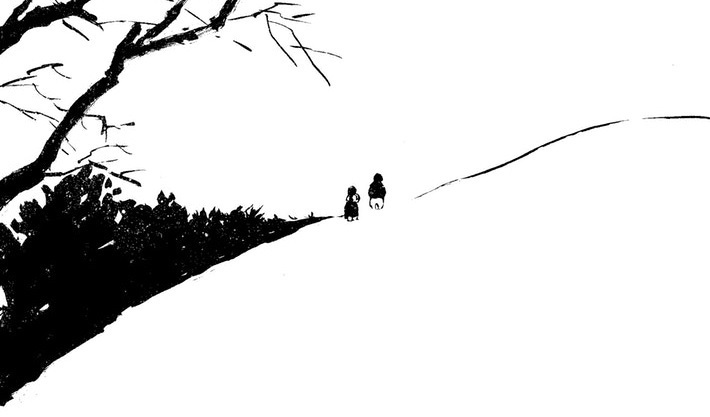 The chapter ends with a sense of foreboding and the mother's plaintive words: "At least you won't go hungry now." The entire graphic novel will be published by Drawn and Quarterly Press this coming June. The story it tells is harsh---after a several years of slave labor in a noodle shop, Oksun is forced to work as a "comfort woman" for Japanese soldiers---but never exploitative. There is no grand redemption, nor could there be, after such loss, but Oksun lives to eventually attend school and to tell her tale. Weaving together history, personal narrative, and contemporary issues Grass can enrich the curriculum in a number of ways. A few potential approaches to teaching the chapter, or the entire book, are below. Slavery as a historical and contemporary issue: Students may enter the classroom with a monolithic idea of slavery, seeing it as a distant problem that has already been "solved." Grass can help them expand this understanding, offering a window into a global story that continues, unfortunately, to the present day: a struggling family tricked into giving up a child. You might have them read it alongside such contemporary accounts as Victoria Lomasko's Slaves of Moscow (also a graphic narrative), or with some of the readings you might be including as a part of African-American History Month, such as Sojourner Truth's dictated Narrative, The Diary of Frederick Douglass, Incidents in the Life of a Slave Girl, or Martin Luther King's Letter from a Birmingham Jail. (There are many more book suggestions in this PDF from NCTE.) You can also have students review U.N. resources on abolishing contemporary slavery. If your class reads the entire novel Grass, you might look at the role of oral histories in telling the stories of former "comfort women," like Oksun Lee (who, we learn in the book, was abducted to a "comfort station" at age sixteen.) Comfort women's' accounts of sexual slavery at the hands of the Japanese army are established history in most parts of the world, but continue to be disputed in Japan; few contemporary Japanese students have heard of the comfort women. Children Alone, in literature and in history. Literature is filled with stories of children on their own, whether by choice (Huckleberry Finn, The Catcher in the Rye), by circumstance (Salar Abdoh's memoir "Hunger," Jane Eyre), or by some cruel combination of the two, as in Grass, the Stalin-era play Grandmother's Little Hut, the migration novel The Gringo Champion, and Charles Dickens' Great Expectations. 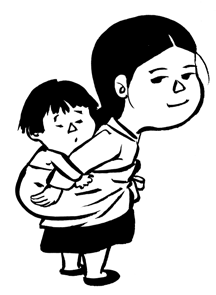 We can also find these stories in contemporary history: in the U.S., the implementation of a "family separation policy," as well as a "zero tolerance policy" that prosecutes potential family sponsors for immigration violations, has put some children at risk of being adopted away from their families, and many thousands of others into detention centers. Resources for teaching and learning about these issues include children's first-person accounts gathered by the Atlantic and Think Progress (may be triggering for some students); an educators' guide from the Facing History organization; the recent book Tell Me How it Ends: An Essay in Forty Questions, by Valeria Luiselli; news stories from CNN, the BBC, and the New York Times; and well-sourced editorials. 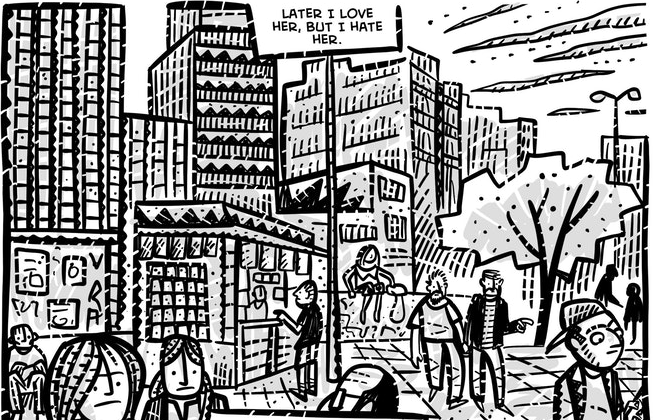 In a different graphic story published in WWB this month, the narrator describes his relationship with the Brazilian city of city of São Paulo: "My love for São Paulo goes in cycles, first she's beautiful, then hideous…after that, she's hideous, but I love her." The lively, kinetic illustrations reflect these conflicting impulses, and give a sense of what it's like to be in the middle of the city. After reading this four-page comic, students might be inspired to write about their own relationships with the places where they live. You can challenge them to select two emotion-words; and then expand on those words in a graphic narrative or personal essay. For more graphic narratives from around the world, see the current issue of WWB, and a reading list of diverse graphic novels from the National Council of Teachers of English.